Differentiating one’s business in the healthcare industry can be a challenge, especially when faced with an oversaturated market like outpatient ambulatory care. Differentiating a business can help prepare for the best valuation possible and will ultimately help a potential seller earn their maximum price in a sale. 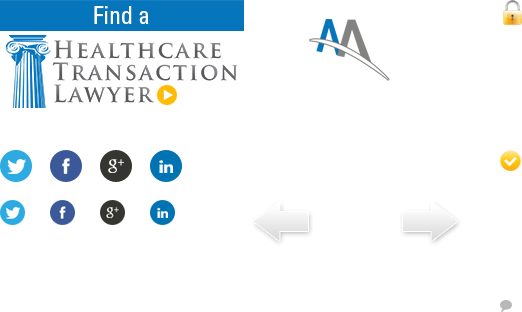 The Ambulatory M&A Advisor digs into what it takes for a business to differentiate itself before, and during a valuation. Christopher Carnahan, CEO of The Carnahan Group says that during the initial valuation there are several items that can sticks out and help a business stand out among the crowd. Carnahan says business owners first need to look at whether or not the differentiation accrues to higher margins, higher growth rate, a longevity in earnings. Just being different to be different does not necessarily translate into having a higher multiple. “Going back to the early 2000s, there were lots of internet companies that were different from each other that did not make money. Being different alone does not make money. However, if you have a competitive advantage that is not easily replicated, then differentiation is very important,” Carnahan says. Carnahan says positive growth rates, high profit margins and industry attractiveness are all ways that a business can stick out of the crowd in a valuations process. “I would says those are the significant ones, and also competent and seasoned management are important for differentiation. As far as industry attractiveness, a center would stick out that has sufficient size, and one that is growing. For example, in an industry like healthcare, something like telemedicine, or information technology in healthcare would help a business differentiate itself,” Carnahan says. Giulia Pace, Manager with HealthCare Appraisers Inc. adds that the quality of the information the business provides gives the valuator an important first impression of how well the business is run and can help promote differentiation during a marketing process. “A solid practice management reporting system that tracks accounting, billing and operations is fundamental to the business’ ability to monitor performance on multiple dimensions. In addition, positive trends in the metrics that affect profitability reflect positively on the business. For example: the ability to maintain or improve contract terms with payors, efficient staffing and workforce use, and the ability to deploy new technology to improve both financial and operational result,” Pace says. When it comes to examining financials, Carnahan says it would be beneficial to the business to have positive year over year growth, a management team that has been able to manage growth, good contracts with payors, a diverse customer base. Carnahan says these are some of the big valuation issues within the specific business that could be helpful with the valuation and making the company stick out. “Some of the things that would be hurtful to a business is flat growth, negative growth, aging management or providers with no succession planning, poor contracts, customer concentration, and being in an area with poor demographics,” he says. Pace echoes that the historical performance of the business is critically linked to both positive and negative results in healthcare valuations. “Long term positive financial performance is indicative of a well-run business with a sustainable business model. By looking at the financial statements a valuator can tell if positive short term results are influenced by changes made by the business in anticipation of a transaction or are sustainable improvements for the business going forward. The business would be hurt if changes made in anticipation of a valuation are not sustainable in the long term,” Pace says. Pace says that it is important that before a valuation, a business makes the attempt to be proactive in order to hit the target of looking like the best in their market. Pace says owners need to ensure that the business is able to produce well organized financial statements and operational reports. They also need to conduct a thorough review of contracts, processes and staffing levels. It is also important for the business to provide the valuator with a list of all material changes that occurred in the last five years of operations. “Whether it is a contract renegotiation, departure of key personnel, an increase or decrease in certain expenses, a change in payment terms or reimbursements, these things become evident during the valuation analysis and the fact that any potential issue has already been identified reflects positively on the business,” Pace says. As far as being proactive Carnahan says he would say the most important thing is intention. “You need to be intentional about the fact that you are going to sell the business or you are going to need to prepare the business for some transition. I think the first thing is a mindset of intention and that mindset means that the owner is cleaning up the books and that they are not managing for tax benefit,” Carnahan says. Vanita Spaulding, Managing Director with Cogent Valuation says that the valuation of tangible and intangible assets can also be driven by differentiation during a sales process. Spaulding says that certain healthcare businesses like pain practices are different in value because they generally have developed more intangible assets than the average urgent care clinic. “A pain practice is different. People come on a regular basis, sometimes even weekly. And any time you have patients returning on a regular basis, they develop a relationship with that business. A well-established group of patients, in valuation terms, is a Customer Relationship intangible asset, and is one of the factors in determining the value of the pain practice” Spaulding says. Spaulding says these intangible assets give value to the business being sold and from a buyer’s perspective could help the business appear a step above the competition. When discussing some of the tangible and intangible assets that can help a business stand out in a valuation Pace says intangible assets such as the business’s brand, its reputation in the community, and a high quality workforce are definitely an important differentiating factor. With regard to tangible assets, the quality and appearance of the facilities and the quality of the medical equipment/technology used in business operations are important. “Tangible assets are anything that is truly employed in the production of income. One of the areas to be cognizant of is not buying assets that are unnecessary in production of income. Sometimes it may be tangible assets buying something that is really going to increase the margin versus the latest gadget. In the medical business a two tesla MRI gets reimbursed the same as a three tesla, but the three tesla costs more. Is there incremental or additional value associated with the earning stream to warrant the increase in price. The reality is that a 40 year old car will get your people to their sites probably as well as a brand new car will do every year. You may have a little bit more in repairs, but it is really looking at if it is something that is going to truly benefit the company and increase the earnings versus something that you just want to have,” Carnahan says.